Apple is all set to take the smartphone standard with the launch of iPhone 8 this year, but before Apple takes off the curtain from the much-awaited device of the year there are many leaks and speculation are prevailing in the market. As usual, Apple has unveiled the latest version of its mobile operating system iOS 11, before the grand launch of iPhone 8. The software update coming to iPhones and iPads also gives some clues about iPhone 8's features. Other than these, CEO of Wistron, a contract manufacturer of Apple devices, too inadvertently revealed some details about the upcoming iPhones. Based on all these, today in this article we are bringing you the 6 'confirmed' features of Apple iPhone 8. Augmented reality (AR) will play a big role in the upcoming Apple iPhone 8. Apple made some big announcements related to AR for the upcoming iOS 11 at the recent WWDC conference. The company announced its own AR development platform (ARKit), which means that developers can create AR apps well in time for iPhone 8. It is likely that by the time the smartphone launches in September, Apple developers will be ready with several AR-based apps. Although Apple has revealed nothing about the dual rear camera setup, guessing its inclusion with the upcoming iPhone 8 is easy. This is as Apple has already brought such camera technology with the iPhone 7 Plus last year. AR apps will also be able to make good use of the dual-rear cameras. Apple recently unveiled HomePod, its answer to Amazon's Echo and Google Home. Shipping later this year, the pill-shaped speaker will very likely have support for Apple iPhone 8. Though the company didn't go much into the details, iPhone 8-HomePod integration appears an integral part of Apple's home computing ambitions. Yes, iPhone 8 will feature wireless charging. 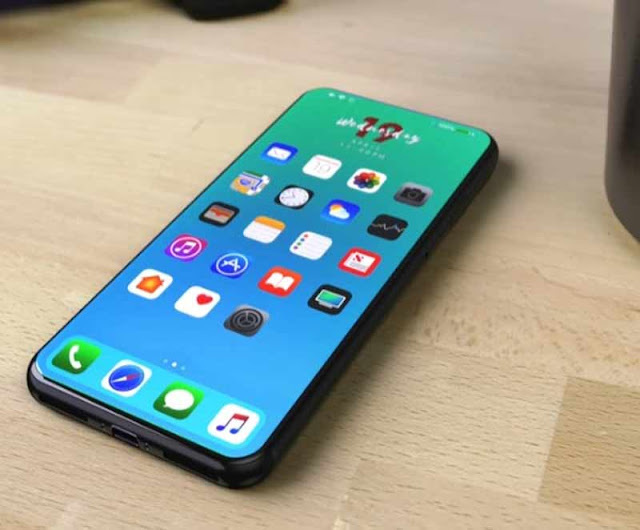 This has reportedly been revealed by Robert Hwang, CEO of Taiwan-based iPhone assembler Wistron. "Assembly process for the previous generations of (iPhones) have not changed much, though new features like waterproof and wireless charging now require some different testing, and waterproof function will alter the assembly process a bit," Hwang reportedly told reporters during a shareholders' meeting. Wistron is said to have recently started assembling iPhone SE units at its plant in Karnataka, India. Besides confirming the wireless charging feature, Wistron CEO also revealed that the upcoming smartphones will have the water-resistant design. Since the smartphone will come with wireless charging, analysts believe that it is likely to sport a glass or a plastic back panel for hinder-free connection. With iPhone 8, Apple is quite likely to take its NFC support beyond Apple Pay. The company's all-new iOS 11 Beta adds support for Core NFC, which as per release notes is described as "a new framework for reading Near Field Communications (NFC) tags and data in NFC Data Exchange Format." This means new NFC chip may read more tags than just Apple Pay tags. Users may be able to pair the Apple Watch with the iPhone using NFC. It could also be used for online payments at stores.